lechemusic: ¡Beacon – Feeling’s Gone (Fort Romeau’s Shibuya Edit) lechestyle: Harbour Navy Peacoat! Beautiful deep house with soft vocals, going out or staying in really doesn’t matter, this track will make your Friday evening. Beacon is a New York based production duo working on their second EP, this remix by Fort Romeau can be yours for free. When fall winds and rain rough you up its best to have a coat that’ll be up for the test. 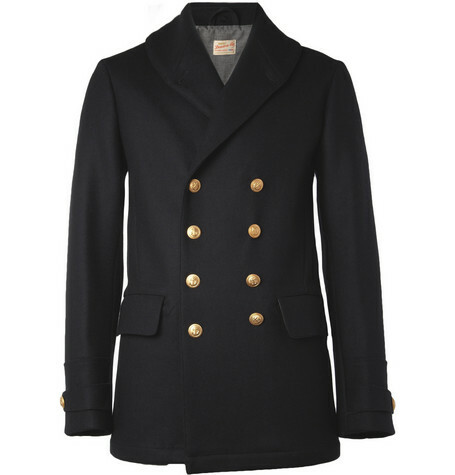 Peacoats are versatile and classic making refined outfits more relaxed and relaxed outfits more refined. I love the golden buttons on this prime example by Harbour. lechemusic: ¡Totally Enormous Extinct Dinosaurs – Your Love (Official Video)! Totally Enormous Extinct Dinosaurs most recent video has been released today. Progressive vocal house at its best, Your Love is taken from the UK electronica marvel’s debut album Trouble. lechemusic: ¡Azelia Banks – 1991 (Official Video)! Contemporary and talented female lyricist Azelia Banks has released an official video for the track 1991. Her debut album titled Broke With Expensive Taste is set to be released later this year, given her skyrocketing popularity she will probably name her second album a bit differently. lechemusic: ¡Chris Malinchak – All Shook Up lechestyle: Massimo Dutti Twisted Yarn V-Neck Sweater! Chris Malinchak has been very busy in the studio lately. French Express describes his latest as a warehouse anthem, I’ll let you be the judge on how All Shook Up sounds. Greyish beige is a great color which can be teamed up with just about any color. 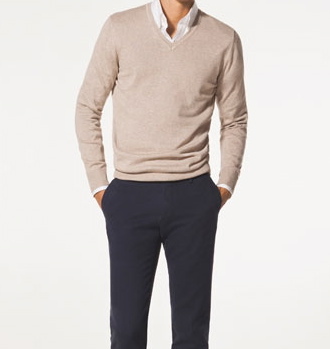 Massimo Dutti has got the color just right in this v-neck sweater for the fall.